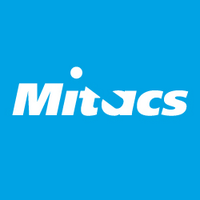 Mitacs is accepting applications for the Mitacs-Japan Society for the Promotion of Science (JSPS) Program, which supports researchers in Canada to undertake 10-week research projects in Japan in summer of 2019. A summary is provided below. • Round-trip airfare, maintenance allowance (534,000 yen, less $3,000 CAD from Mitacs paid to the Canadian home university), as well as hotel room charges at Narita and Tokyo, and meals and accommodation charges in SOKENDAI.